As a ministry here at YWAM – UofN Bali, we are facing the urgent need of completing our new campus accommodation. YWAM – UofN Bali was pioneered in 2006 with about 6 staff. We have since grown to about 60 staff, with numerous ministries and schools, including 3 DTS per year. With staff, students, volunteers and visiting outreach teams, we are often facilitating about 100 people. As we have pursued God’s vision here in Indonesia, we have seen an incredible release of people, both Indonesians and internationals coming together to advance God’s Kingdom in this nation. With the increase in people, this has placed a greater demand in regards to our facilities. Back in 2006, we were able to secure an incredibly cheap 11 year lease on our current facilities. Those facilities have been an incredible blessing to us, and many have been trained and equipped for the Great Commission in those classrooms over the years. Our leases have now come to an end and it is looking unlikely that we can extend. The reality is that these facilities have already been too small for us for the past few years. So, to meet this pressing need, we have engaged in a mission campus development project. We were able to purchase land to build our own permanent YWAM facility not far from our current base location. The campus will include accommodation for about 150 staff and students, kitchen, dining room, offices, classrooms, futsal court and a community centre. The overall cost for this project is about USD 3.3 million. That is a huge amount for us, but we have already seen many miracles so far with the provision of a little more than USD 1.5 million. With those funds, we have purchased land and have already built 3 levels of the accommodation block. The pressing need for us at this time is to complete the accommodation block before the leases on all of our facilities expire in December. That is only 6 months away! As July is coming to an end, we feel the urgency to do what we can to complete the accommodation block in time. To do this, we need another USD 335,000. And we will need to see those funds come very quickly. At this time, we are trusting God for a miracle. We know that as we do the possible, we can trust God to do the impossible. Would you consider joining us in prayer for this urgent need? Or there may be some among you who would consider partnering with us financially. Or maybe you know of churches or other donors who would be interested in assisting us with this need? Any assistance, no matter how small or how large, would be much appreciated. 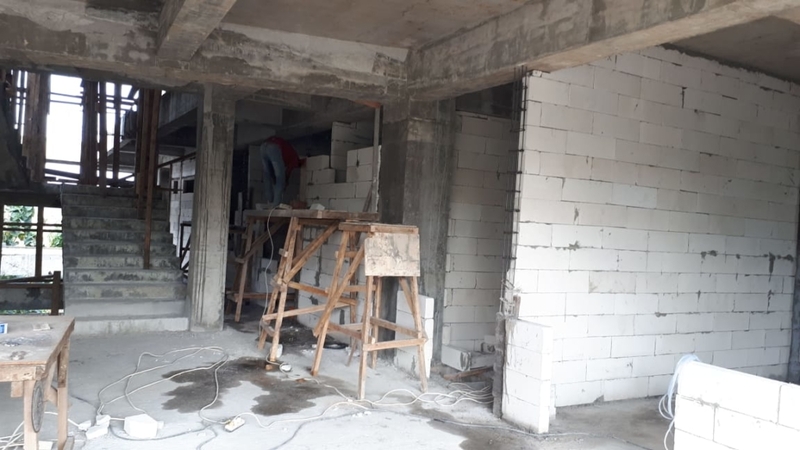 Even if we can’t complete the whole accommodation block by December, we are hoping to have enough finished so that our staff, students and volunteers can move into it and continue running our training programs and ministries. It has been a blessing to see what God has done through UofN Bali over the years. Many Indonesians have been released into missions, and many internationals have come and served in this nation as well. In the end, the goal is not the building itself but the fullness of God’s Kingdom coming to Indonesia. The building just serves this end goal. If you do feel led to give, you can either do that through PayPal at our web link below. Or if you would like to make a direct transfer into our Indonesian account, please contact us at grid@uofnbali.org for those details. As we face this urgent need, will you stand with us in prayer in seeing the breakthrough? Thank you for your prayers and your support for us at this time. Bless you!